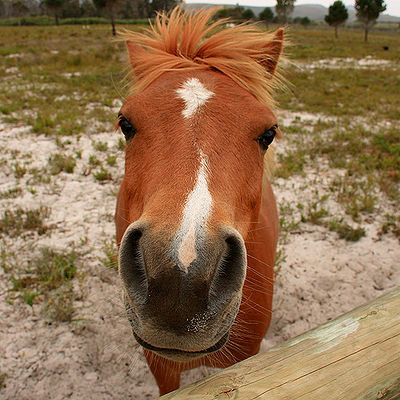 Horses can show separation anxiety by becoming hyperactive, pacing or running back and forth, calling, screaming. Some horses are fearful or very upset when left alone, missing herd or stablemates when they leave for a while. A worry is that these horses can injure themselves and/or destroy property when demonstrating this behavior. If a horse assumes the position of herd protector, even if the herd consists of one or two other horses, it can be upsetting to him to see his companions taken away. The horse may not settle down until they return. Closely bonded mares who are separated can experience the same distress. Separation of mares and their foals can bring on anxiety for both. While these are considered normal behaviors, since horses are herd animals, they create anxiety in owners as well. If you are facing this problem, here are some hints that may help. Leave one of the horse’s companions behind. Take the horse out to pasture and reward with food. Remove the horse to a new location where he is alone and can’t hear or smell his friends. The new location may or may not have other horses present. 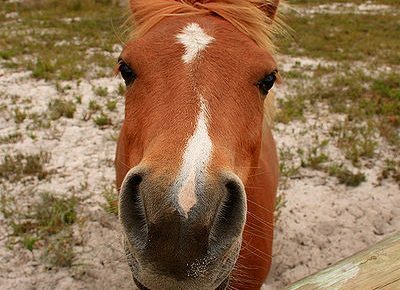 Early prevention may be a solution for horses who are predisposed to separation anxiety. Conditioning foals and young horses to get used to herd mates coming and going, lengthening the time of each separation, may help with the behavior. This is a form of behavior modification. As much as horse lovers like to think otherwise, horses rarely show separation anxiety from humans, only from other horses. If you choose medications as an aid, have your veterinarian monitor your horse at regular intervals.